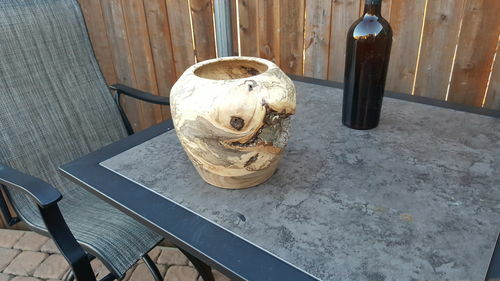 Spalted hackberry vase 8” x 8” came out nice. More than great for a first vase. The wood just adds to all the beauty. yes Kenny, I am going to keep doing all my projects in it until I run out. I did process some smaller boards to put to the side and save for a later date. Came out great, wild grain in that piece. Save it to look back on later. Great spalting on that Gary. You’re hooked now? Good job! The view in that last pic looks like a demented and deformed pumpkin face LOL. very well done, interesting wood.